Apple this morning said iTunes U downloads have topped 300 million, making it one of the world’s most popular online educational catalogs. The company also says over 800 universities throughout the world have active iTunes U sites, and nearly half of these institutions distribute their content publicly on the iTunes Store. Currently, iTunes users have access to more than 350,000 audio and video files from educational institutions around the globe, the company adds. 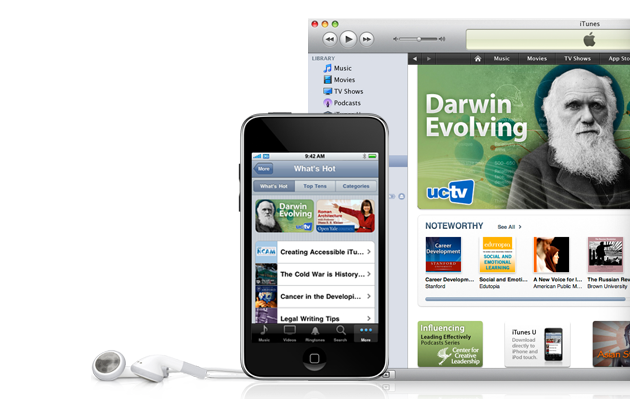 Created in collaboration with colleges and universities about 3 years ago, iTunes U offers users public access to free content from institutions such as Harvard, MIT, Cambridge, Oxford, University of Melbourne and Université de Montréal. iTunes U gives users the chance to experience university courses, lab demonstrations, sports highlights, campus tours and special lectures.